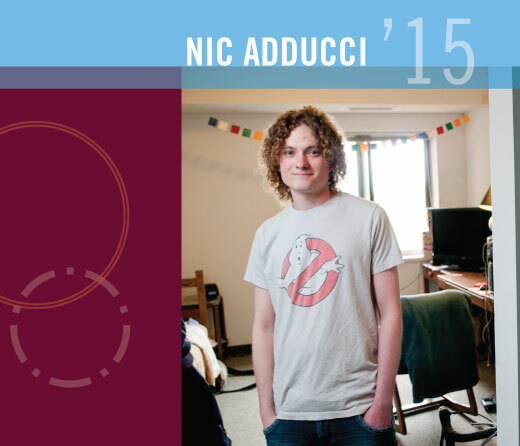 For Nicolas Adducci ’15, studying at Augsburg College has meant finding resources to meet the challenges he faces as a student diagnosed with attention deficit hyperactivity disorder (ADHD). In the Everyday Health article, “ADHD and College Success: Nicolas’ Story,” Adducci discusses how the support he receives from Augsburg’s Center for Learning and Adaptive Student Services (CLASS) allows him to double major in business management and psychology with minors in economics and political science. During his time at Augsburg, Adducci has made the dean’s list with a 4.0 grade-point average and has shed much of the stigma associated with having a learning disability. CLASS specialists guide students to appropriate accommodations such as extended time for exams, note takers in classes, and recorded or electronic books, and help with time management and organizational skills, learning strategies, and compensatory techniques. These accommodations, Adducci said in the Everyday Health article, make all the difference when paired with a helpful staff and faculty networks. He has gained confidence and learned how to communicate his needs with Augsburg professors.